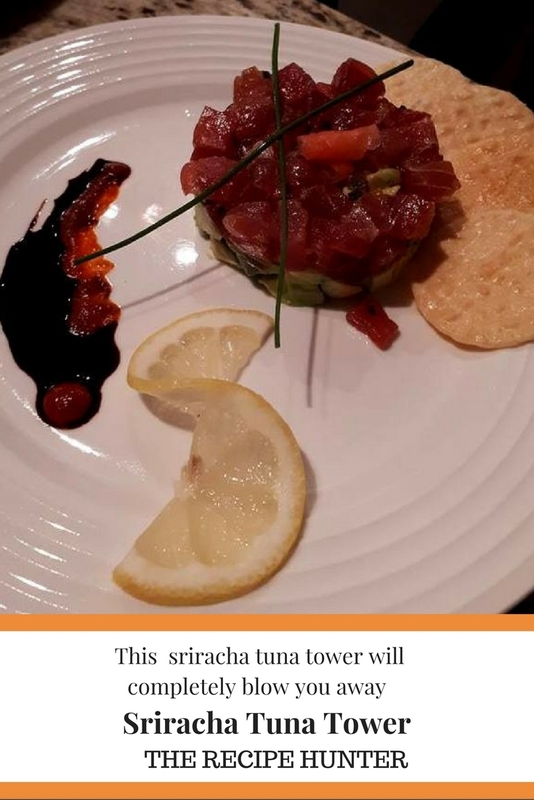 This sriracha tuna tower will completely blow your mind! In a medium-sized bowl add diced tuna, sesame oil, sriracha, soy sauce, ginger, chives and rice wine vinegar. When ready to assemble, decorate the plate with reduced balsamic and sriracha. Place (tubular) mold on the plate, spoon ¼ of avo into a mold and lightly press down with the back of a spoon. Then spoon ¼ of tuna on top of avo and press down lightly. Carefully pull the mold off. Haha, no quotations necessary. I am the resident PR cat at the firm. That said, I most certainly would enjoy some tuna! My human just let me have some, but is a small taste ever enough? ?